Precaution: THIS PRODUCT CONTAINS SOME OIL; TEST ABSORBENT SURFACES FOR BLEEDING. 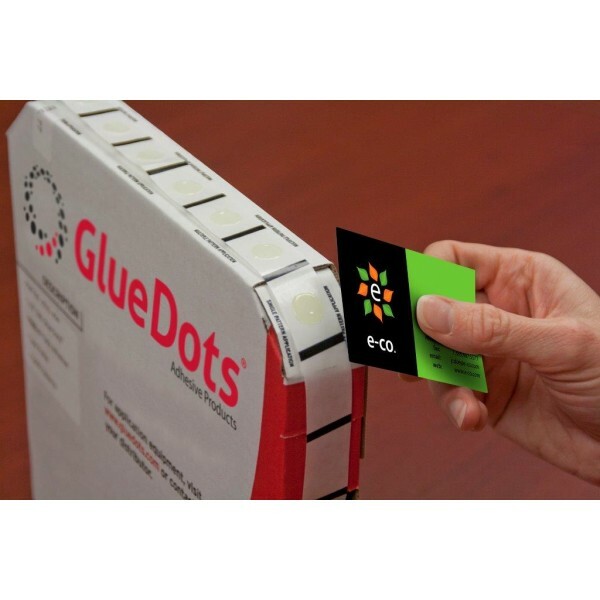 GLUE DOTS™ are pressure sensitive patterns of adhesive that can be applied almost anywhere, making them a smart solution for Print, Packaging and Assembly applications. They keep items aligned and secured by forming a strong instant bond to nearly any surface in most environments. Not recommended for fixing posters or vertical hanging ! Standard Glue Dots provide a clean, instant bond and are often a preferred alternative to hot glues, liquid glues and tapes. 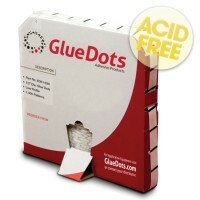 Glue Dots leave no mess, residue or odour, presenting your product and preserving your brand, while increasing productivity and reducing costs. 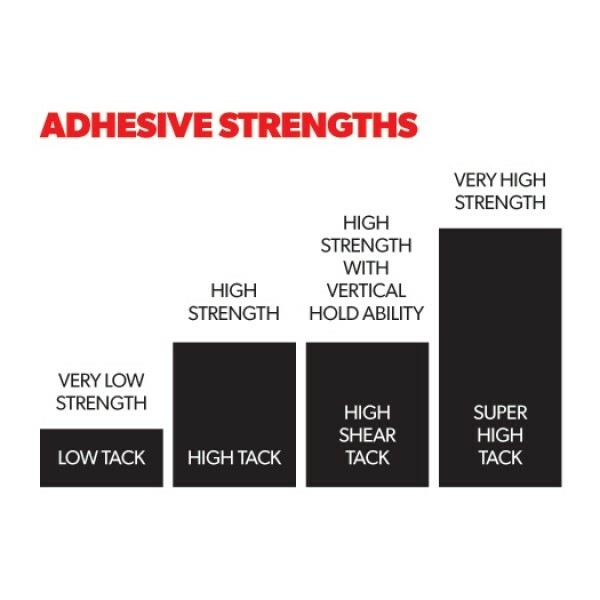 High Tack, Semi-Permanent Glue Dots™ designed for bonding heavier items such as a CD to a magazine, yet still removable. 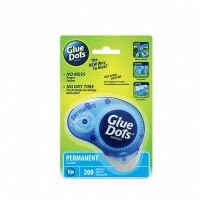 Profile of all dots listed in our online shop are the standard 0.5mm. 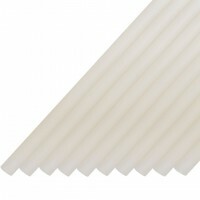 For non-standard profiles and sizes please call 0161 627 1001. 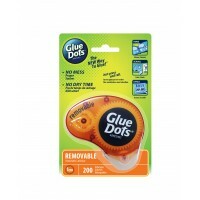 View our collection of glue dots. Made to order sizes, MOQ 24 rolls. Please call 0161 627 1001 for availability. Precaution THIS PRODUCT CONTAINS SOME OIL; TEST ABSORBENT SURFACES FOR BLEEDING.